Feeling Fictional: Waiting for Gonzo 'Tache Tour - Dave Cousins' Top 10 Moustaches! Waiting for Gonzo 'Tache Tour - Dave Cousins' Top 10 Moustaches! Now please give a very warm welcome to Dave! Waiting for Gonzo ’Tache Tour! 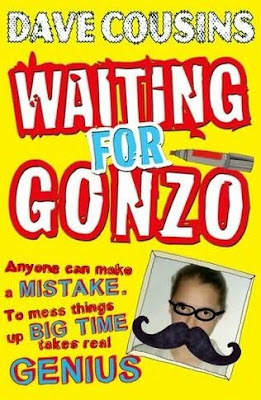 When Oz draws a moustache on a photograph in Waiting for Gonzo, he does it because he thinks it’s funny. Moustaches are funny – end of story. 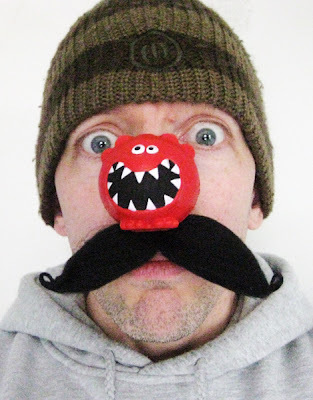 So, when I found out that the Gonzo ’Tache Tour would be at Feeling Fictional on Red Nose Day, I thought what better way to celebrate than with a chart of Top Ten ’Taches! Well, I can’t promise any of the above, but here is a list of a few inspiring moustaches and their stories, to give you an idea of how this little piece of face fur has influenced the world – not just the life of a teenage boy! 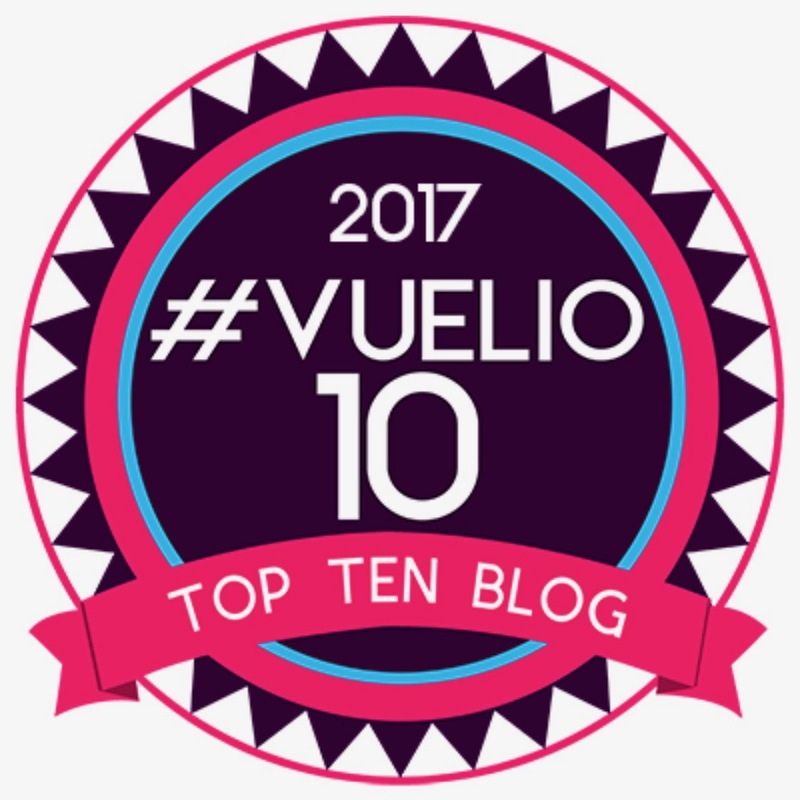 At number ten – Me! What do you mean, it’s fake? Plus, I get double points for having a red nose and anyway, it’s my chart. 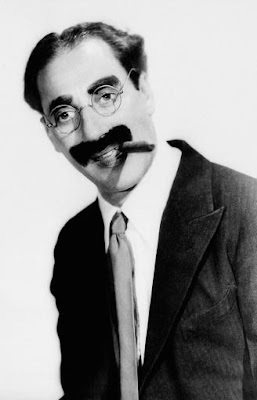 Number nine, so fine – Groucho Marx. I loved the slapstick and witty one liners of the Marx Brothers films when I was growing up. Of all the moustaches in the world, Groucho’s must rank as one of the most famous. It even spawned the classic popular comedy disguise set of bushy eyebrows, glasses, a large plastic nose, and of course – a moustache! 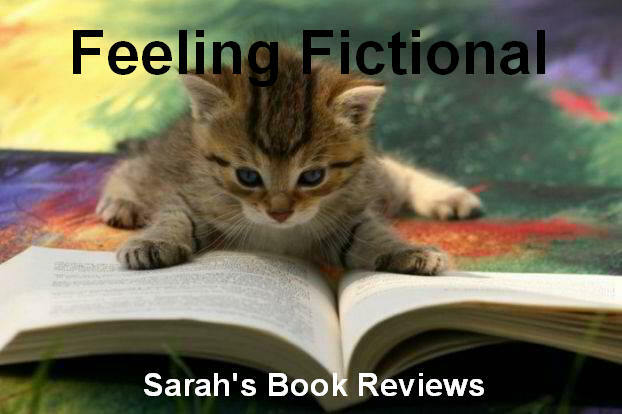 Looking great at eight – The Thompson Twins – two for the price of one! 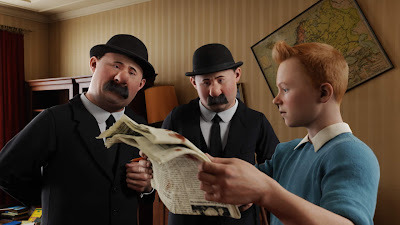 I was a big Tintin fan as a kid and spent a lot of time dragging a stuffed Scottie dog around on a piece of string. Anyone I encountered with a moustache immediately became one of the Thompson Twins in my alternative reality. Given this was the 1970s (A Golden Age of the moustache) I ran into them a lot. 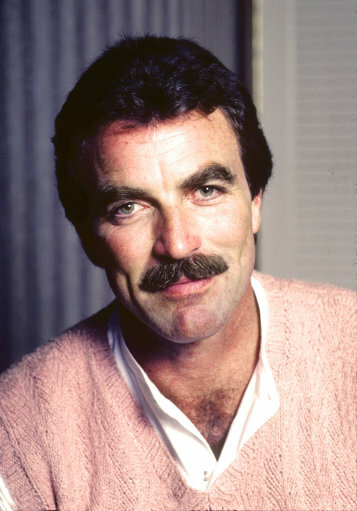 Seven – The Magnum PI or Tom Selleck – this piece of face fuzz is so famous it has become synonymous with the moustache. Sneaky tricks at Six – So can a moustache EVER really be cool? Well, yes – yes it can. But only if coupled with a big old beard – and it helps if you’re a pirate. Blackbeard (admittedly, he wasn’t called black ’tache, but hey …) kept fireworks in his facial hair and lit them to scare his enemies. 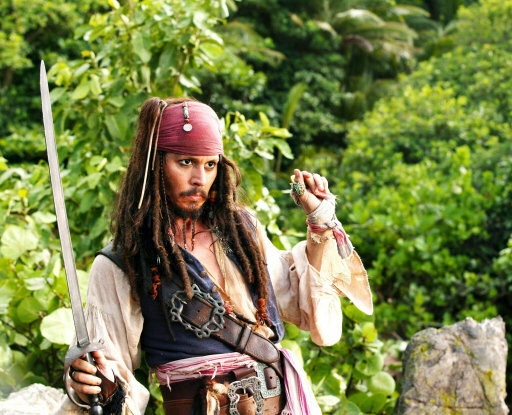 Johnny Depp looked ace, if a bit camp, in Pirates of the Caribbean. Even Lovejoy (Ian McShane for those of you too young to remember the antique-selling sleuth) looked pretty cool in that! 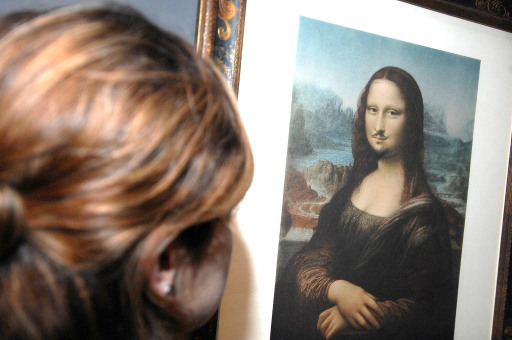 Five alive – What is it about artists and facial hair? But then maybe the idea of walking round with a neatly trimmed and waxed clump of hair stuck to your top lip IS fairly surreal. 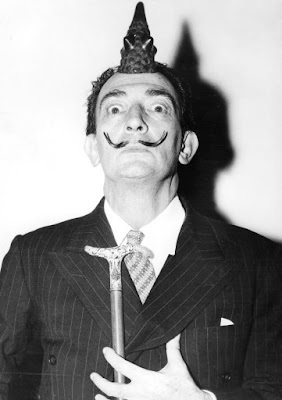 So … to the King of the Weird and Wonderful … Mr Salvador Dali. 1-2-3-Four! – Music plays an important part in Waiting for Gonzo, and the annals of rock history provide plenty of ’taches to choose from. Jimi Hendrix and Prince, both worked a straggler, but still managed to look kinda cool. Sgt. Pepper era Beatles had some impressive nose frills going on and we shouldn’t forget Lemmy from Motorhead. 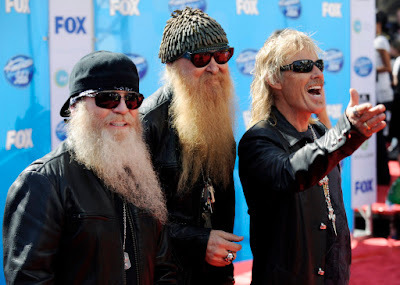 But the best one has to be Frank Beard, the drummer from ZZ Top – who despite his name, was the only member of the band NOT to have a beard. He made up for it with a pretty impressive nose rug though. Three is the Magic Number – In honour of Gonzo, I had to include a Muppet in the list. 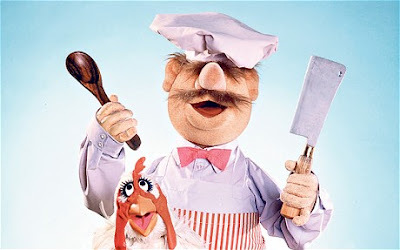 Waldorf – one half of the curmudgeonly duo Waldorf and Statler – has a fine snowdrift ‘tache, but in the end he had to make way for Swedish Chef, whose moustache/eyebrow combo are just hilarious. Two – The Fu Manchu – partly because it rhymes(!) 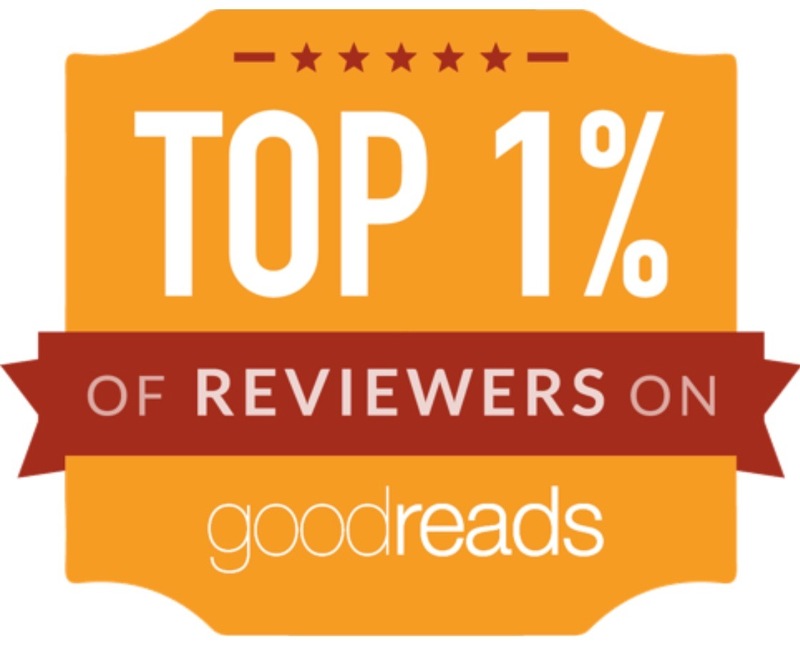 but mostly because it deserves a place in any list of top ’taches. The Fu Manchu is even a category in the World Beard and Moustache Championships. (http://en.wikipedia.org/wiki/World_Beard_and_Moustache_Championships) However, did you know that in the original Fu Manchu stories by Sax Rohmer, the character Fu Manchu did not have a moustache? 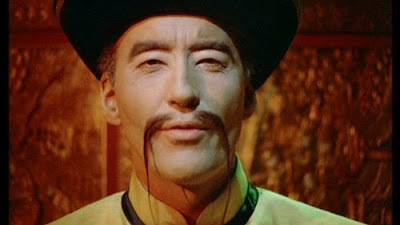 He first appeared with facial hair in the 1923 film The Mystery of Dr Fu Manchu and never shaved again! And finally, perching on very top of this tickly totem of ’taches, the One that first nudged the Wheel of Destiny into motion for Oz in Waiting for Gonzo – Marcel Duchamp’s piece of art terrorism on a postcard of the Mona Lisa. He said he did it because he wanted to change people’s perception of what art could be. He was lying. He did it because it was funny. Moustaches are funny. End of Story. Or is it in fact, just the beginning …? 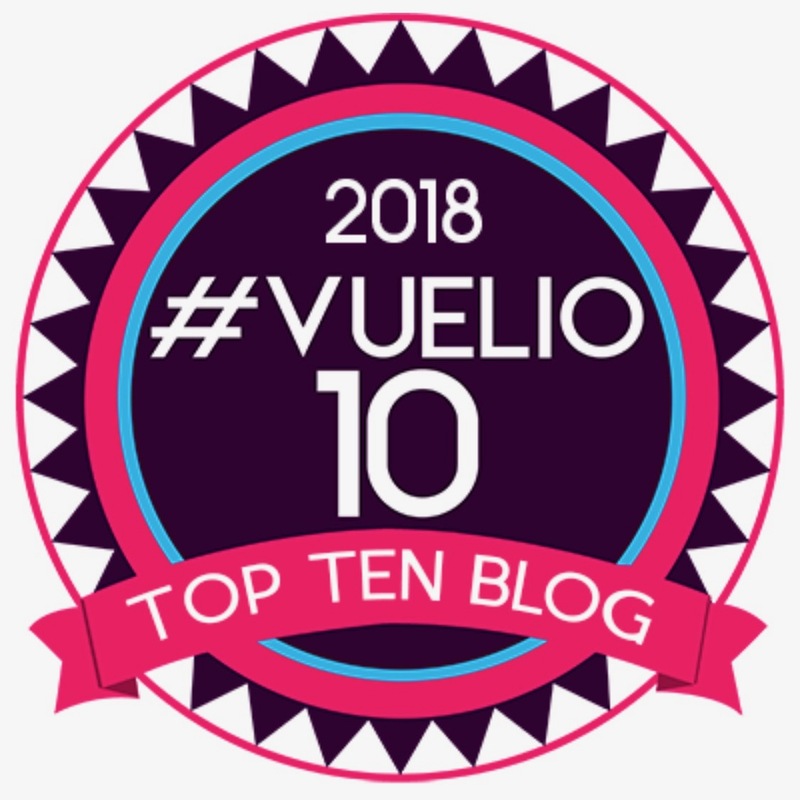 Thanks for stopping by with such a fabulous guest post Dave! That's a fab pic with your fake moustache & I'm glad to see you have your red nose ready for tonight too :o) Since it is Red Nose Day and we're all supposed to do something a little silly I thought I'd join in with a 'tache pic, I don't have any fake moustaches at home though so I had to improvise! So which of Dave's top ten moustaches is your favourite? Are there any 'taches that he's left off his list that you would have included in yours? 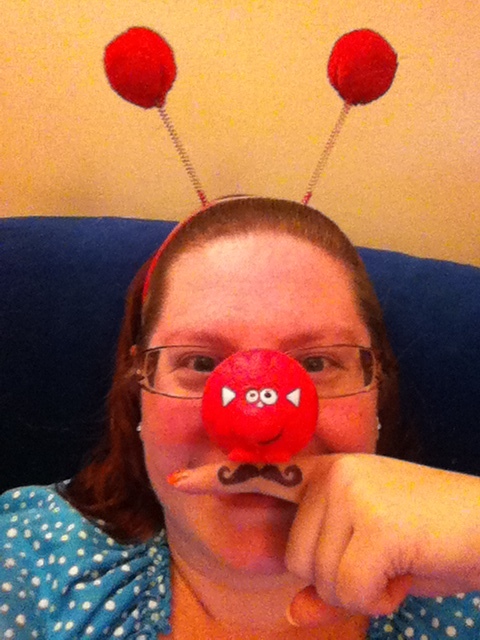 What are your plans for Red Nose Day?